Multifactorial influences on outcome: The prognosis for patients with aqueductal stenosis does not depend only on promptness and efficacy of surgical treatment. Many prognostic factors have been identified. 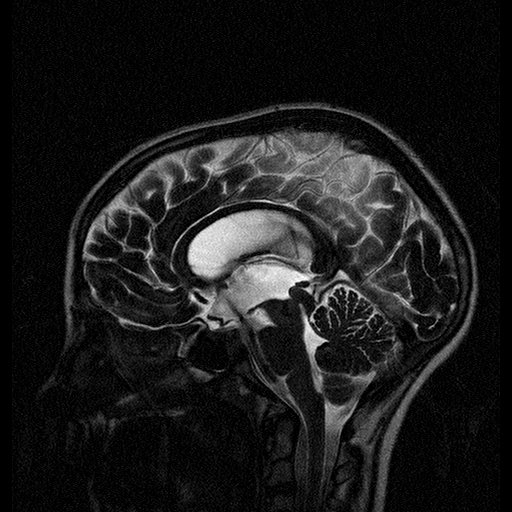 Among these, head circumference at birth, the value of the first IQ assessment and the relevance of postoperative frontal cortical mantle width on MRI or CT scan after surgery are the most relevant (42, 86, 111). 80% success for aqueductal stenosis: Patients with aqueductal stenosis are considered the ideal candidate for ETV (17, 44). Nevertheless, despite accurate selection of the patients, the success rate does not exceed 80% ( 40, 56, 60). Thereafter some patients still need a shunt. 66% success rate for other causes of non-communication: In the recent years, there has been a tendency to include patients with myelomeningocele, Chiari malformation, congenital aqueductal stenosis, previous meningitis, and prior ventriculoperotoneal shunt (19, 56, 99, 105): in this group endoscopic ETV is effective in approximately two-thirds of patients. History of previous shunting improves outcome: The successful rate after ETV could even be increased by prior shunting by decreasing the transmantle pressure allowing arachnoid granulations to open and mature (48, 55, 78). Less successful for infants: A lower success rate in very young infants (under 6 months of age) is clear (50-70%) (3, 17, 35, 38, 48, 104). However, even if selection of the patients were more accurate, ETV would be preferred also in these cases because shunt surgery is burdened by a higher rate of failures and complications in this age group (108). Warf (114) suggested adding endoscopic coagulation of the choroid plexus to ETV in order to increase the success rate in children younger than 1 year of age. X-linked hydrocephalus: The presence of associated malformations is responsible for low survival rates and poor mental development despite adequate treatment (86,113). First assessment of IQ: Low first IQ indicates poor mental development. As observed (91), children with aqueductal stenosis tend to show poorer development of nonverbal cognitive skills than of language development. Duration of symptoms: Chronic symptoms and a delayed diagnosis usually correlate with partial regression of symptomatology (86). Older children with acute onset of symptoms and prompt surgery have the best prognosis. Epilepsy: The incidence of epilepsy and hypothalamus-hypophyseal dysfunction paralleled the degree of mental and motor abnormalities (102). Lower treatment failure rate for ETV than shunts: Kulkarni et al. found the relative risk of ETV failure is initially higher than that for shunts, but at 2 years the risk of ETV failure is roughly half the risk of shunt failure (61). The ETV group had fewer cases requiring repeat surgery, had larger ventricle size at last follow-up, spent fewer days in hospital for CSF obstruction and spent fewer days per year in hospital for any hydrocephalus-related complications (62). De Ribaupierre et al. found a longer revision-free interval and overall revision in patients treated with ETV (28). At 5 years of follow-up, the failure rate of ETV was 26%, that of a ventriculoperitoneal shunt 42%. The report also observed the same trend in reviewing other series (27 peer-reviewed articles, with more than 1500 patients). Aqueductal stenosis patients do better: Renier and co-workers (86) reported a 10-year survival rate of 80% in patients with aqueductal stenosis and 60% in those with communicating hydrocephalus, and a mean intelligence quotient (IQ) of 67 in patients with aqueductal stenosis (with 100% of children at or above 80) and 52 in those with communicating hydrocephalus (with only 20% of children at or above 80). Hirsch et al reviewed 114 children affected by aqueductal stenosis, 70 treated by shunting, and 44 by percutaneous ETV: the postoperative IQ scores were not significant different in the two groups (46). Sainte-Rose compared two identical series of patients with aqueductal stenosis: 38 were treated by insertion of a ventriculoperitoneal shunt and 30 by ETV. From neurological, endocrinological, social and behavioral points of view, he found no statistical difference between the two groups (92). Similar results have been achieved by Tuli et al (108). Aqueductal stenosis patients do worse: Hannigan et al (42) and McCollough et al (72) found that children with aqueductal stenosis had significant lower IQ scores than children with communicating hydrocephalus. Kulkarni’s group found that outcome measures of quality of life and IQ scores were slightly lower in the ETV group, but these data were not statistically significant (62).